Individuals interested in running as a candidate for Seat No. 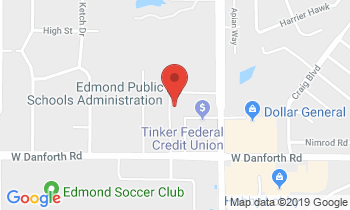 4 on the Edmond Public Schools Board of Education may file from 8 a.m. to 5 p.m. Dec. 3-5 at the Oklahoma County Election Board located at 4201 N. Lincoln Boulevard. If more than two individuals file for election, a primary election will be held Feb. 12, 2019. If no more than two individuals file for election, a general election will be held April 2, 2019. The election will be held at regular voting places in the school district located within District No. 4. Edmond’s school board consists of five individuals, one from each election district who serve a five-year term. One board member’s term expires each year. Current school board members are Lee Ann Kuhlman; Seat No. 1, Kathleen Duncan; Seat No. 2, Jamie Underwood; Seat No. 3, Cynthia Benson; Seat No. 4 and Meredith Exline; Seat No. 5. Benson’s term for Seat No. 4. is expiring. To be eligible to be a member of the Board of Education a candidate must live in the district, be a registered voter in the district, have a high school diploma or equivalency, and not have any felony convictions or misdemeanor convictions involving embezzlement. In addition, a candidate may not be employed by the district or have immediate family members employed by the district. Boundary lines for District No.4 can be found by going to the district’s website.